This will be the first Census that can be completed online in addition to on paper. It is anticipated that those who already tend to be undercounted will also have difficulty with responding online. How can libraries and their Friends assist?This is a joint program of the Friends of the Troy Public Library and the Rensselaer County League of Women Voters, The Annual Meeting of the Friends of the Troy Library will follow at 3pm. Please RSVP at friends@thetroylibrary.org. For up to date information on Pop Up Book sales around town this Spring and Summer and other events, follow the Friends of the Troy Public Library on Facebook. Wednesdays: 2:00 to 5:00 p.m.
Saturdays: 10:00 a.m. to 1:00 p.m. The BookSeller, sponsored by the Friends of the Troy Public Library, is a place to buy gently used books at bargain prices. 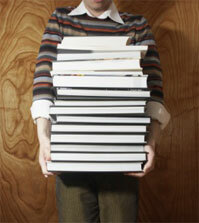 Most books are $1.00, with the exception of mass market paperbacks ($.50), children’s books and magazines ($.25 each). In addition to books, the BookSeller has a selection of DVDs, CDs and Audiobooks. We invite you to join the Friends by printing out and completing the Friends of TPL application form. We are pleased and grateful for your support! We are happy to accept donations of books or other materials that are in good condition. If we do not add the items to our collection, they will be sold to in the Book Seller. Please place all donations in sturdy boxes or bags, and schedule large donations in advance or by contacting the Friends of TPL: friends@thetroylibrary.org. If you would like a receipt for tax purposes, we can provide a dated acknowledgment of the donation, but cannot place monetary value on donated items.